Rick and Morty may have received an eye-popping 70-episode order back in May, but let’s not forget that the Emmy-winning Adult Swim animated series already has 31 episodes under its belt, all of which you can revisit via the Rick and Morty Seasons 1-3 Box Set, coming to Blu-ray and DVD on Feb. 12, 2019. The series-spanning box set of course includes those 31 22-minute episodes we mentioned, including season three’s prestige-drama curveball “The Ricklantis Mixup,” season two standout “Total Rickall” and the inescapable “Pickle Rick,” along with copious special features, including commentary (featuring series regular Chris Parnell, The Simpsons creator Matt Groening, The Walking Dead creator Robert Kirkman and TWD showrunner Scott Gimple), “Inside the Episode” segments, additional featurettes and past animatics. Also stuffed into this thing is an exclusive poster, sporting a never-before-seen, custom illustration of a robotic Rick and Morty. The Blu-ray and DVD box sets will set you back $69.99 and $59.99, respectively—you can get both for less than a single Schmeckle! 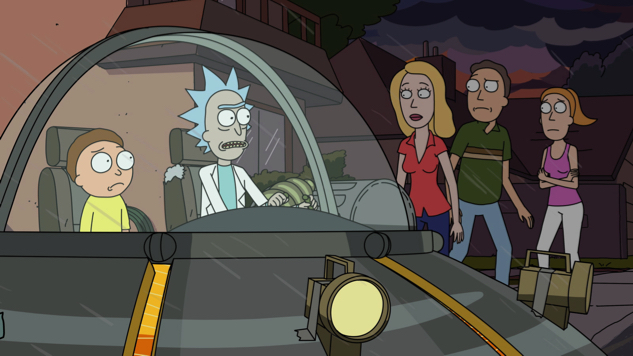 Rick and Morty fans more interested in the future than the past have season four to look forward to—co-creators Dan Harmon and Justin Roiland kicked off production on their latest batch of episodes over the summer. Find the Rick and Morty Seasons 1-3 Box Set episode guide below and our ranking of the show’s latest season here.